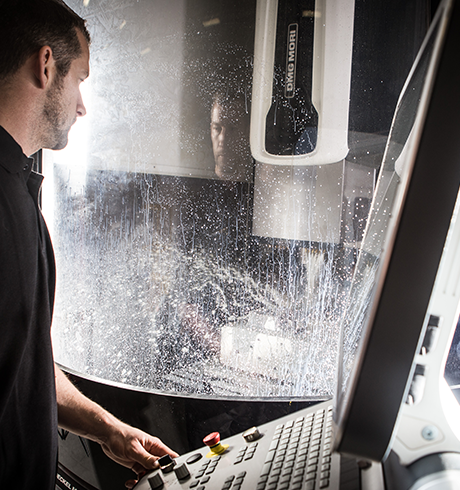 Our offering of both rapid tooling and production-ready tools along with continuous investment in the latest machinery and technology guarantees that we can provide a first class service for our customers. Both of Omega Plastics’ factories have an in-house tool room, which are fitted with 3 and 5-axis CNC machines and are complimented by a number of activities such as milling, machining, EDM, polishing and fitting – ensuring that we can manufacture your injection mould tool through efficient rapid tooling processes. • Aluminium – using only the best injection mould grades available. • P20 – a pre-toughened tool steel which gives you good longevity on most standard polymers. • H13 tool steel – a fully hardened material which can enhance production volumes. To ensure maximum quality and on-time delivery, our professional and experienced toolmakers take ownership of each tool from leaving design through its various tooling activities. All injection mould tools we manufacture remain the property of the customers at every stage of development. Furthermore, any IP also remains your property should we advise you of any design for manufacture changes. Submit an enquiry online today for your rapid tooling quote and lead time. Take a look at our rapid prototyping and injection moulding services too.